The words of A. V. Baillie, Dean of Windsor from 1917 to 1945, provide a fitting introduction to an understanding of a sense of the awe and in some cases dread that the contemporaries of Canon Dalton felt when in the presence of a man who was in many ways unpredictable, enigmatic and contradictive. Baillie recalled in his autobiography, My First Eighty Years (1951), the warning given to him on his first day as Dean of Windsor that “his great difficulty will be Canon Dalton.” Later that day, the King’s Secretary himself, Lord Stamfordham, informed him that “It is not too much to say that Dalton has made your predecessor an unhappy man for a quarter of a century.” The aura of Canon Dalton felt throughout the Castle cannot be emphasised more strongly than the fact that no less than King George V himself summoned Baillie to discuss the matter of Canon Dalton. Baillie describes the King as “begging me to try and get on with his old tutor, to whom he was very much attached.” For all of Canon Dalton’s difficulties, the high esteem in which the King held his old teacher speaks volumes. John Neale Dalton was born on the Isle of Thanet, Kent, on 24 September 1839, the eldest of five sons (among nine children) of John Neale Dalton (1808-1880), a Church of England clergyman, and his wife (and first cousin), Eliza Maria (1807-1895). 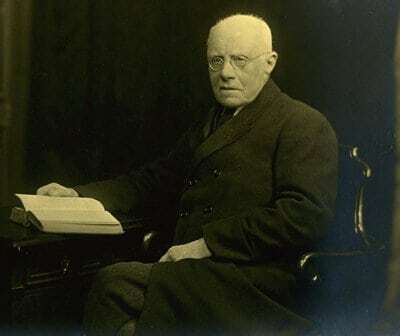 After graduating from Clare College, Cambridge with a first in Theology, Dalton moved rapidly up the ecclesiastical ladder securing a curacy at Cambridge (1866-1869) and subsequently at Whippingham on the Isle of Wight, where he caught the attention of Queen Victoria. In 1871, Dalton was appointed as tutor to Queen Victoria’s grandsons Prince Albert Victor (Eddy), duke of Clarence and Avondale, and his younger brother Prince George, duke of York, later to become George V. His top priority was the moral education of the princes and as a result enforced a strict, authoritarian regime on them. It has been suggested that George V’s perfectionist character along with his eye to detail and precision are attributable to the influence of Canon Dalton. The forcefulness of Dalton is illustrated vividly by his securing the decision – despite opposition from the cabinet – to send the princes, then aged fourteen and fifteen, on a world cruise spanning three years (1879-1882). The princes were separated from their family and placed in the absolute charge of Dalton who accompanied them on HMS Bacchante as their chaplain and tutor. His difficult temper and his desire for constant control are evidenced on this expedition in which he put a swift end to the regular visits of the senior midshipman to the princes. After the voyage, as well as being made a CMG, Dalton became Eddy’s governor during his university years at Trinity College, Cambridge, until 1885. In 1884, Dalton was appointed to a Canonry at St George’s Chapel. Canon Dalton caused a considerable amount of tension during his forty- seven years at the Castle. His role as Canon Steward, responsible for managing its finances and protecting its fabric, combined with his determination that he was always right made relations between himself and the other Canons not only tense but on occasions damaging to the morale of the College. At Chapter meetings, he shouted down colleagues who presented alternative points of view. In the words of the wife of Canon Deane, “If Canon Dalton did not like anyone he did not mind letting them know it.” In the words of Dean Baillie, “His effervescent temperament made it impossible for Dalton to confine his expressed contempt to our meetings; he broadcast his opinions to people in the Castle.” When the lay residents of the Castle were constantly hearing how unreasonable and “contemptible” the Canons were, this had the temporary but ultimately damaging effect of raising “an unfortunate and dangerous barrier ….. between the laity and the Chapter.” Nevertheless, his contemporaries recognised his untiring and unswerving dedication to the Chapel and he drew admiration for the impressive scholarly contribution he made to the College through his possession of an intellect to be envied. His greatest works that he produced were the three volumes of “Ordinale Exon”, and his revised prayer book. His poetical version of the Psalms was praised as an achievement of perfection by no better judge than Dr Nairne, the Regius Professor of Divinity at Cambridge. Dalton’s passion for history and literature extended far beyond St George’s as his intensive study of “The Merry Wives of Windsor” in which he identified every character in the play through unearthing all the historical records he possibly could illustrates profoundly. This pinpoints Dalton’s ultimate concern for the people who lived outside the Castle in the town of Windsor. He may have been disrespectful towards his fellow clergymen but, most importantly, he respected the people of Windsor whom he visited regularly and granted support to those in times of hardship and ill health. This support was not only in financial terms as demonstrated by the occasion in which on finding the wife of a lodge keeper ill in bed, he got on his knees and scrubbed the kitchen floor for her. The tremendous respect that George V held for Canon Dalton was illustrated by his decision to appoint Dalton as the domestic chaplain for the Royal Family at Windsor. He was created CVO in 1901 and promoted KCVO in 1911. Having read a lesson at evensong on 28th July 1931, he died suddenly of a stomach haemorrhage a few hours later that evening at his house in the Cloisters in Windsor Castle. After cremation at Woking on 30 July, his ashes were interred in the south aisle of St George’s Chapel on 31 July. Canon Dalton is a character in the history of the College who will never be forgotten. His son, Hugh Dalton, became an influential Labour politician and served as Chancellor of the Exchequer from 1945 to 1947, playing a fundamental role in Clement Attlee’s experimental and reformist post-war Labour administration. Inevitably, as the years have gone by, Dalton has increasingly been recognised for his positive characteristics and his substantial achievements as well as the profound legacy he left at St George’s. He was one of those rare and unique characters. In the words of the Dean of Willesden from December 1952, who was a chorister at St George’s during the tenure of Canon Dalton “Shall we ever see anything like Canon Dalton again? One wonders if the present or the future can produce “characters” as the past has produced them.” There is no denying that Canon Dalton could be very difficult, ill-tempered and at times rude. Nonetheless, these characteristics were attributable to his determination to preserve for the good of posterity the history and tradition of St George’s from what he regarded as proposed changes that were unnecessary and could undermine centuries of tradition and continuity. In 1953, Canon S.G.B. Exham praised Dalton’s “irresistible determination” and concluded that “his first consideration was the good of St George’s and all that it stood and still stands for, and whatever he did his actions were governed by that aim.” It is significant that continuity and the preservation of the past is an integral element of the magnetic ethos of St George’s that to this day attracts tourists from throughout the world and will continue to do so well into the future. Next PostNext Argh me hearties!